I realize I'm a little late to the Best Of 2014 game, but better late than never... right? I plan on making this post short and sweet (I make no promises, though) because I've been rambling on about most of these products for a year now. Some bloggers use different parameters for their Best Of products, but I wanted to keep mine simple. 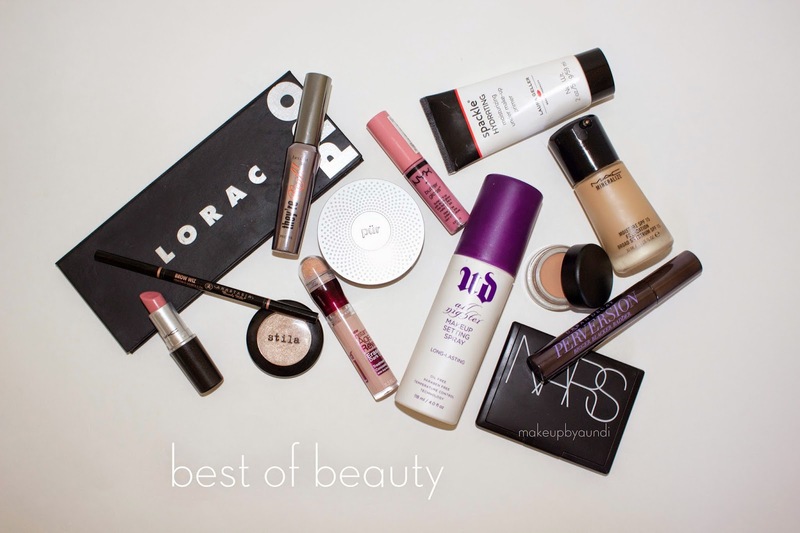 I'm sharing with you the products that were consistently part of my makeup routine throughout the year of 2014. Some are fairly new items and others I've been using for years. I try a lot, I mean a lot of makeup so when I constantly come back to something, I know it's a stand out product. So without further ado, here are my favorites from 2014! This was my everyday go-to for the first half of 2014. As I was looking back on my most used products, I was reminded of how amazing this mascara is and that I need to pick up a new tube. I dedicated an entire video to this drugstore fave, so I won't ramble on about it, but it's an outstanding mascara and happens to be $3. It's the best mascara EVER. I went through nearly an entire pan of Laguna last year. I rarely hit pan on a makeup product, so it's a big deal when I do. I used this bronzer nearly everyday, whether to give a slight contour or warm up my complexion. I definitely see myself repurchasing when I run out in the next couple months. More on this bronzer here. You guys know that pinky-nudes are my favorite and last year was no exception. I used Creme Cup like it was going out of style! I told someone recently on Instagram that I could wear this lipstick everyday and never tire of it. Ever. This was my holy grail foundation for the last half of 2014. It gives great coverage with a gorgeous glowy finish. I'm wearing it still and am curious to see how it wears during the warmer months. Read more on this dewy magic in a bottle. 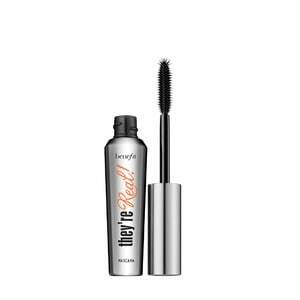 This was my go-to mascara during the warmer months. Although it's not marketed as a waterproof mascara, it pretty much is. The formula and rubber wand gives me the most beautifully clean, separated lashes. It's amazing for lengthening my lashes. It's still in my rotation of mascaras along with my next favorite. Anastasia of Beverly Hills is the queen of brow products. 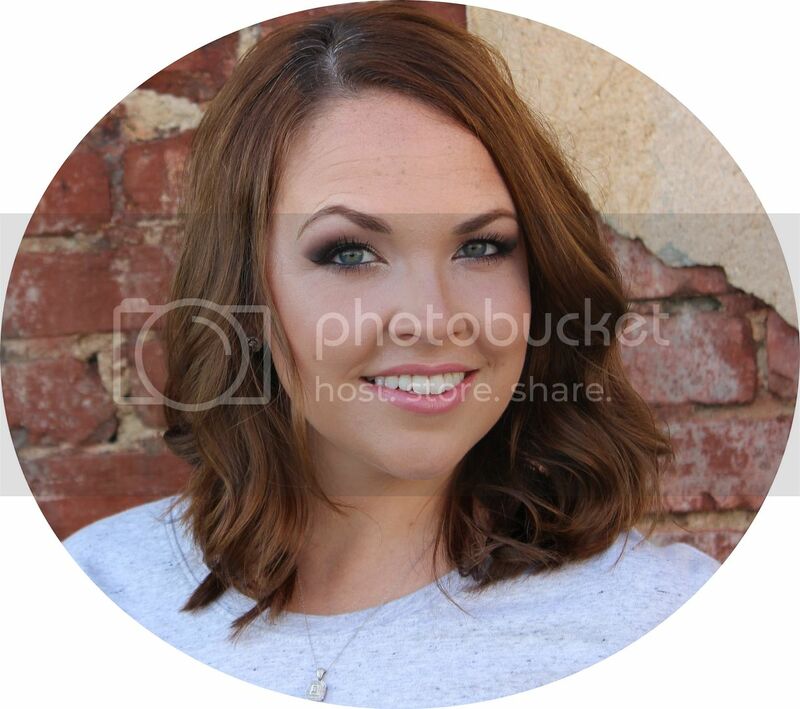 Her Brow Wiz is without a doubt my favorite brow product of all time. It's got a super fine tip so it's easy to mimic the look of natural hairs. I literally use this every single day. These glosses made my Top 5 for $5 last year, and they're so great they made my Best of Beauty! The fact that they're only $5 is a bonus. The smooth formula glides right over any lipstick but is pigmented enough to be worn on its own. My two favorites for the year were Creme Brulee and Eclair. Check out my Top 5 for $5 action here. My favorite primer of life and the only primer that I've ever sworn by. I love that it doesn't have that thick, silicone feeling that most do. The hydrating formula is perfect for my dry skin. The last time I posted about this primer, it was available only on QVC but this week it launched at Ulta! More thoughts on this spackley goodness. I went on a search for a new favorite eyeshadow base this year but it was a complete fail. I'm still on the lookout but starting to think I'll never find anything better than my beloved Painterly. I realize this base may not be for everyone, but if you have oily eyelids like me, Painterly is your new best friend! Painterly - my ride or die. If you've followed my blog for any period of time, you're probably sick of me raving about this drugstore gem. I would be remiss if I posted my Best of Beauty and didn't mention this guy. He never lets me down! I've gone through more tubes than I can count. I used Kitten all the time throughout 2014. On its own, over another shadow, or in the inner corner.... you just can't go wrong with Kitten. I not only love it on myself, but I often use it on the brides I work on to give the most beautiful glow. I featured this guy in my Beat the Heat video, but he is a must for any special occasion in any season. I go back and forth between the All Nighter and Chill setting sprays, but the all nighter will lock in your makeup so it lasts, well... all night. 2014 was the year of powder foundations for me. My world is forever changed. This foundation is so beautiful. I can wear it on its own or over top a hydrating liquid foundation. I have used it nonstop since September. I've already hit pan but it's still going strong. 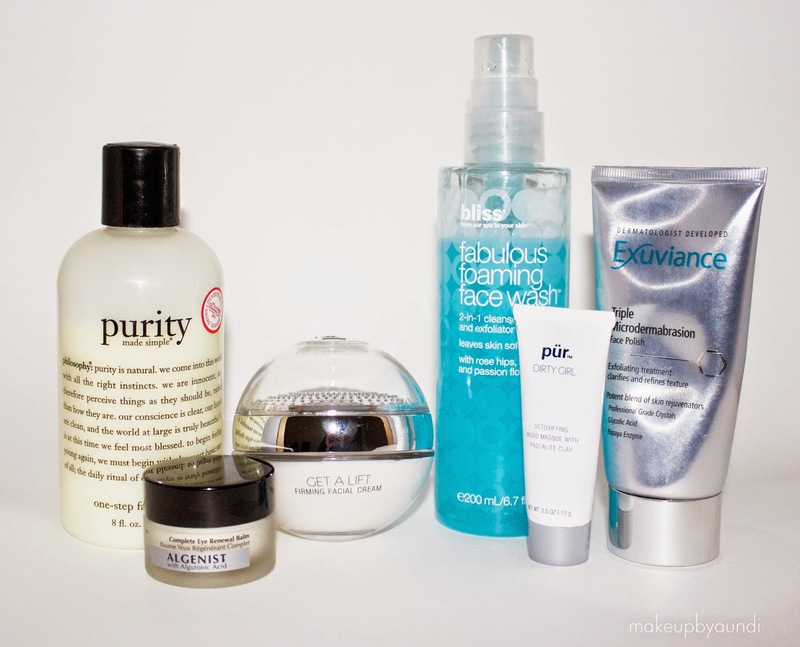 Read more about Pur and my other recent faves! Holy moly. I have been highly impressed with UD's Perversion and Subversion Primer. This wand is very different for me but it helps to give length, volume, and lots of drama. I've actually had multiple people ask if I'm wearing falsies when wearing this mascara. Don't believe me? Are there any amazing products I missed out on last year? Let me know if there's something I need to try! Before I get into my skincare routine, I want you to know that I feel oddly vulnerable typing a post about skin. For most of my life, I was uncomfortable in my own skin. I don't mean that in the cliche way that I was in some way or another unhappy with myself, I mean that I was literally uncomfortable with my skin. I have a skin condition that I recently learned is Keratosis Pilaris, commonly referred to as chicken skin (lovely, right?). KP is a result of the body's over production of the protein keratin, which forms deposits in the hair follicles causing noticeable bumps on the skin. As a child I didn't know I had a condition but I did know that my skin didn't look or feel like that of my friends. Kids are cruel and I spend a good portion of my life trying to cover my skin as much as possible (I didn't even begin wearing shorts above my knees until I was in college.) I've recently begun studying up on KP and trying various ways to treat it... I plan on sharing a detailed post more about the condition and what works for me. I wrote a post a few months back on Skincare 101 - check it out for basic tips that everyone should be doing. Those who know me well know that I'm not the most, um, disciplined person so when I say skincare routine - I use word 'routine' very lightly. I don't necessarily have set days when I use certain products. I usually let my skin tell me what it needs. I'm going to share with you all the skincare products I've been using regularly the past three to four months that I've actually seen results from. I shared this product in my Recent Favorites and in case you've been wondering, it's still a favorite. It's a gentle cleanser that I typically use in the mornings when I don't have to remove loads of makeup but just want to awaken my skin. It also doubles as a great makeup brush cleaner. Check out that post for more details on this awesome cleanser! This is a double duty product as it not only cleanses but contains teency weency beads that allow it to exfoliate the skin as well. This face wash cleanses more aggressively than Purity, so I love to use it at night when I'm removing makeup. The soothing botanicals allow it to calm the skin even though it's an exfoliant. I flipping love this stuff and the deeply cleansed feeling it leaves after every wash. It also smells so, sooo good. This is an intensive exfoliating treatment that contains professional grade crystals used to loosen dead skin cells and polish skin. This is by far the best exfoliant I've ever used. I know it's pricey, but it's well worth the cost in my opinion. I only use it once or twice a week and my skin is left feeling so soft and smooth every time I put it to use. Algenist products contain Alguronic Acid which is produced by microalgea and minimizes the appearance of wrinkles, firms skin, and promotes radiance. While I don't have major signs of aging around the eye area (yet), I'm trying to prevent that from happening with this Algenist eye cream. I must say that this product feels so luxurious and nourishing to the eye area. I use it morning and night and I love how easy my concealer glides on over top. You probably know I've been on a Pur Minerals kick as of late and this has been my go-to moisturizer for the past few months. Again, while I may not (yet) need a firming moisturizer, it's never too early to start preventing, right? The way this cream is formulated, your skin actually does feel more firm as you massage it on. I love that it leaves my skin feeling moisturized (without feeling greasy) throughout the day and night. It's so smooth that my foundation glides right on and I often skip the priming step altogether. And the packaging is just fun to look at, am I right? This peel might be one of the best kept secrets in skincare. If you aren't familiar with Aloette, it is a sister brand to Pur Minerals which is a brand I've raved about recently. I'll admit that I was skeptical about the peel before trying it, but I've been using it periodically for the past three months, and it's amazing! It starts as a green jelly consistency but after massaging it onto the face, the gel actually liquifies. As you continue to massage, you will literally see and feel the dead skin coming off of your face! It's fascinating. I love that it doesn't contain harsh chemicals and it leaves my skin feeling completely renewed. 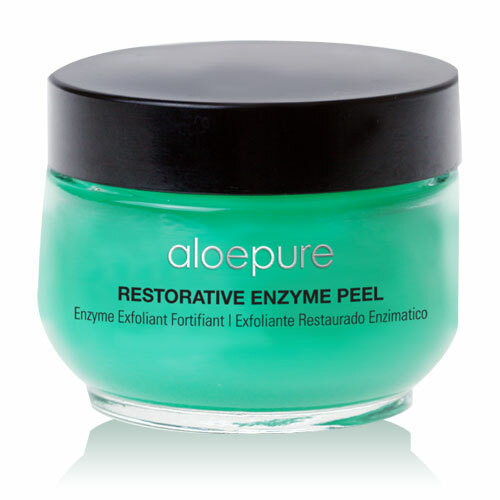 If you are in the market for a new peel, you should definitely give this one a try! *Use the coupon code UQNU64PR to get 20% off your Aloette order! This is hands down the best mask I've ever used. This detox mask that contains pascalite clay, which has been used since the 1930's for healing benefits like drawing poison out of the skin from snake or bug bites. I've tried several mud masks that harden on the skin and some have even felt tingly, but none have measured up to Dirty Girl. This mask gets so tight that my face actually looks contorted. It pulls all the impurities out of my skin so I'm sure to follow up with lots of hydrating products to put all the good nutrients back into my skin. This mask is intense, but it leaves my skin feeling smooth and rejuvenated. I always look forward to the next use. I can't write about my skincare routine without mentioning my Clarisonic. I've had mine for a couple of years now but only used it regularly for the past few months. Although I don't use it daily like some, I've seen great results from this sonic face brush. I use it with whatever cleanser I have on hand and massage my face with the brush until the automatic timer stops. It gives a much deeper cleanse than what I can get with my hands or a cloth. I know it has a steep price tag, but it's been a great investment. I've had it for over two years and it's still going strong. I highly recommend giving it a try - especially if you've never used a face brush before! If you want to see my latest foundation routine that goes perfectly with my new glowing skin, check it out here! *FTC Disclaimer: The peel was sent to me for review. This is not a sponsored post.